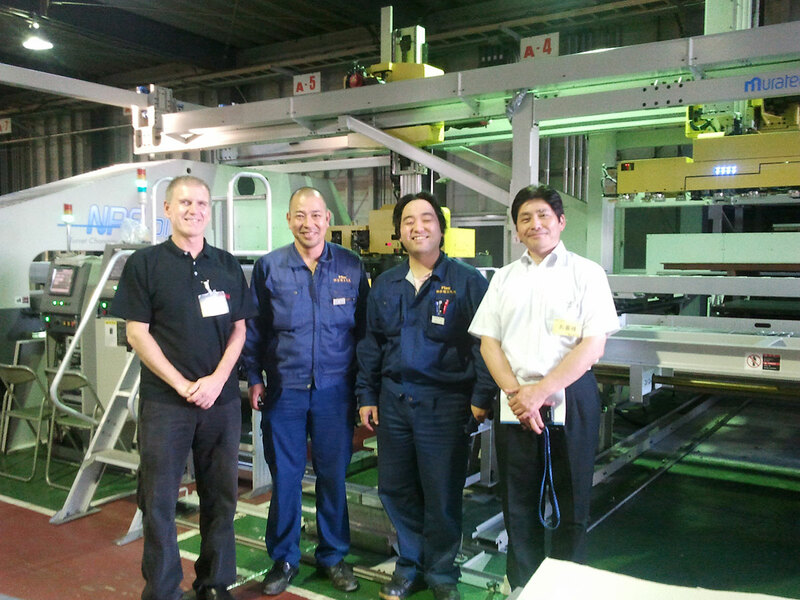 Home > News > System delivery for Murata NPS with JP Loader to Masutani Seiko Co., Ltd.
Metalix has delivered the first system for Murata NPS machine with JP Loader. After extensive preparations and testing carried out by Metalix and Murata engineers in Murata’s facility, the new JP Loader system received final acceptance by the customer Masutani Seiko Co. Ltd. during September 2011. The new machine soon started running three shifts, seven days a week (the night shift running totally unmanned), delivering high throughput. The Murata NPS machine is equipped with automatic tool changing supporting over 120 tools. The new JP Loader features two loaders working either in alternate mode for small parts. While one loader picks up the next part, the second loader stacks the previous one, or in synchronized mode for large parts. It also supports vertical stacking to prevent “flattening” of formings due to the weight of the stack. cncKad is the first and currently the only CAD/CAM software to support this new advanced machine. Usui-san, Manager Assistant, Masutani Seiko Co., Ltd.
Masutani Masahide, President, Masutani Seiko Co., Ltd.
Rami Baruch, CEO, Metalix CAD/CAM Ltd.